Summer is about celebration, and nothing feels more fashionably festive than tassels in warm weather. From boho beachwear to designer shoes and accessories, they’ve been trending all over lately. The exotic vibe of tassels is just so appealing, as if they were a sartorial sign that you’re on vacation. Standing out with their bright colors and eye-catching movement, they are the ultimate fashion accessory for celebration. Need something to celebrate? In honor of Bastille day, check out this festive necklace in bleu blanc & rouge made by French jewelry designer Aurelie Bidermann. 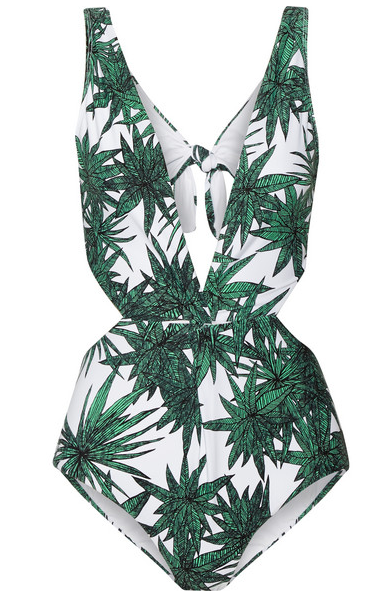 Trending this Tuesday is the retro bikini‘s equally stylish cousin: the one-piece. Featured here is another coachella-worthy design by the amazing Mara Hoffman. With the help of cool designers like Mara, the one-piece is making a come-back with colors, patterns, plunging necklines, cut-outs– you name it! Long gone are the days where one-pieces were reserved for moms and swim teams. 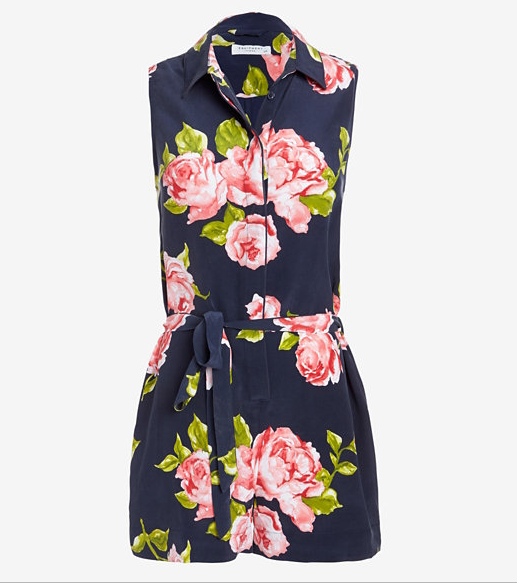 Slip into one of these for a stylish–nay, fashion forward–summer suit. Probably because Queen B is single-handedly making them cool again in her new music video “Feeling Myself”, metallic flash tattoos are making a comeback. Temporary tattoos are the stuff of our youth, and for that they’re a summer staple. There’s no doubt that the boho tats just ooze California cool (I should know by now, right?). 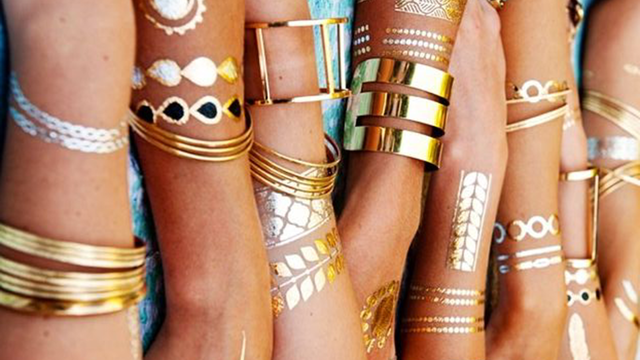 After all, nothing looks better with sun-kissed skin than some golden accessories to match. 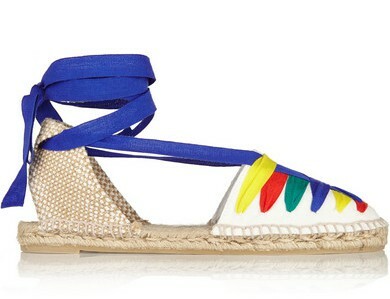 Wear them with a maxi dress, bangles, and long locks for the ultimate summer look that’s fit for a sun goddess. Two weeks ago I featured the trending jumpsuit, but this week I’m sighing for its adorably comfortable cousin: the romper. The chic silhouette works for so many occasions, and a silky floral one (like the one I have my eye on) is a beautiful ode to Spring. 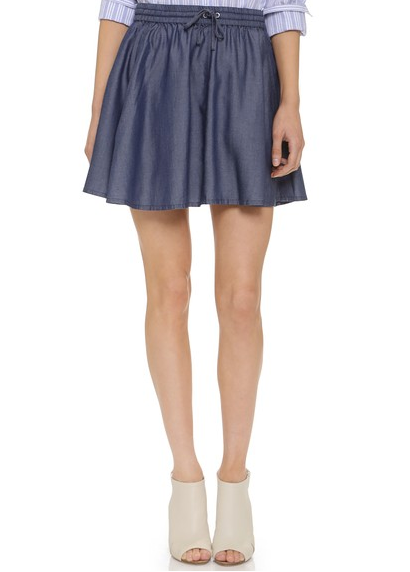 True to it’s name, it’s playful and perfect for a Spring or Summer romp!